Mooney International announced just before Sun ’n‘ Fun that it has received full FAA certification for its newest models, the twin-turbo M20V Acclaim Ultra and the normally aspirated M20U Ovation Ultra. 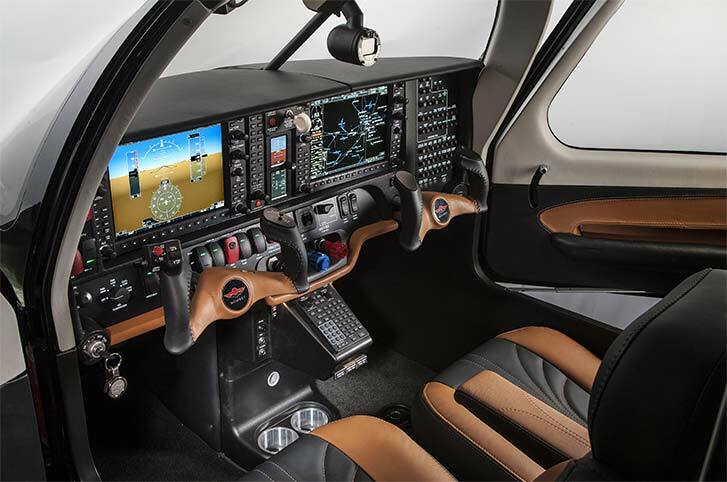 Features incorporated into the new Ultra-designated models include four-inch-larger pilot and passenger doors, Garmin G1000NXi avionics, a composite-wrapped cabin area and an all-new interior design. Mooney expects to build as many as 50 Ovations and Acclaims this calendar year, and “the order book is starting to fill,” according to Mooney International president and CEO Dr. Vivek Saxena. As of last summer’s EAA AirVenture show, certification had been expected in the third quarter of 2016. The Acclaim Ultra has a top cruise speed of 242 knots behind its Continental TSIO-550-G piston engine. The 197-knot Ovation Ultra uses the same engine, but in its normally aspirated form. Both are equipped with a three-blade scimitar Hartzell propeller. The composite skin surrounding the cabin’s steel-tube frame—a Mooney M20-series trademark—improves aerodynamics and quiets the interior, according to the Texas-based airframer. First deliveries are expected to begin “almost immediately,” Mooney said.